Hotels in Goa give an APAI (American Plan All Inclusive) rate that is inclusive of room stay for 2 people, breakfast, lunch and dinner, airport pick up and drop as well as taxes. Hence when you’re negotiating a hotel room in Goa. Decide on the number of rooms you would require or make a rough guest list before booking your venue. Now while its difficult to predict a year in advance as to how many exact number of rooms you would require, it is always good to book 10 rooms lesser than anticipated. I have noticed in all these years that there will be at least 5-6 families dropping out last minute. Comparison shop by visiting several resorts/venues. You can compare pros and cons and rest assured that your Goan destination wedding will be every bit as wonderful as you dreamed it would be. Before you book a venue, see it in person. Online photos may look amazing, but the real beach or ballroom may not live up to your expectations. Or when you see it in person, you may end up liking your least favourite choice the most! If you book more than 50 rooms, you will get the benefit of a bulk booking rate. In general travel agents and wedding planners get preferred rates as compared to clients who visit the property for the first time without any reference. Make sure you apply for all licenses – IPRS and PPL license if you have a DJ playing in a 4-5 star hotel and a beach license if you have your ceremony on the beach.Beach License is mandatory and needs to be taken by your wedding planner from the tourism office if you’re planning on having a beach wedding. A beach license costs around Rs 25000-30000.
if you’re planning on having alcohol at your events. Goan hotels like Park Hyatt, Lalit and Zuri do not allow outside alcohol. Hotels like Radisson and Ramada are a bit more lenient and charge Rs 15000-20000 per event for corkage (permission to get alcohol from an outside vendor whether a wholesaler or retailer). Send out a “save the date” message as soon as you’ve confirmed a date and location. You should plan well ahead and let your potential guests know the date and hotel as soon as possible. This will enable most of your guests to come for your wedding and you will experience fewer drop outs. Keep some local entertainment in your function like Goan serenaders, African acrobats, Russian belly dancers or local Goan jazz bands with saxophonists and guitarists. You will find great local talent in Goa if you’re up for it and boy will your guests love it! A sunset wedding in Goa is most desirable. So if yours is a hindu wedding, do ask the pandit if a muharat from 4-6 pm is possible on your dates. 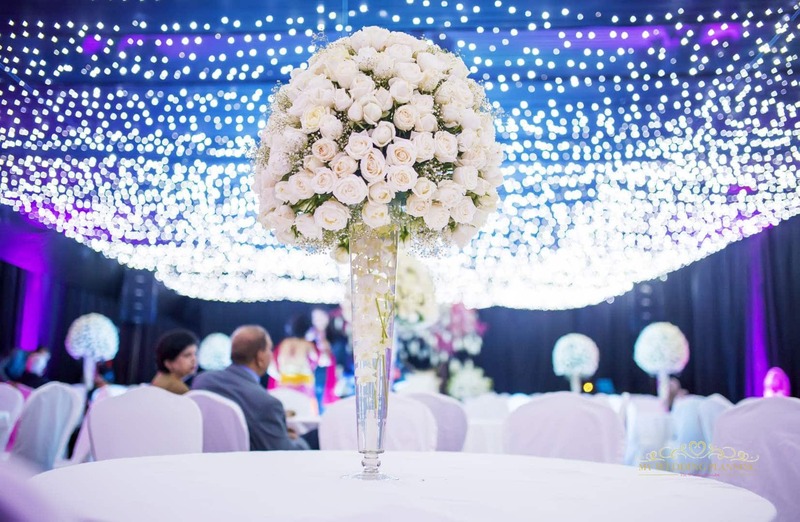 Hire a wedding planner as planning a wedding in a region you do not know much about can be very challenging and you could probably use some expertise. Don’t Invite everyone you know. Have a limited guest list. Don’t foot the bill for your guests’ airfare (unless you want to!). We do a lot of weddings for traditional Indian families and they too have stopped paying for guests’ travel. However Indian guests would still expect you to pay for accommodation. However, don’t have your Sangeet function outdoors as music is allowed till only 10.30 pm in outdoor venues. Five star hotels like Radisson Blu, Holiday Inn and Ramada offer rooms and meals all inclusive starting at Rs 6500 -7000 per room per night during the monsoon time of the year from June-September. Stay Tuned More Post are Coming soon. 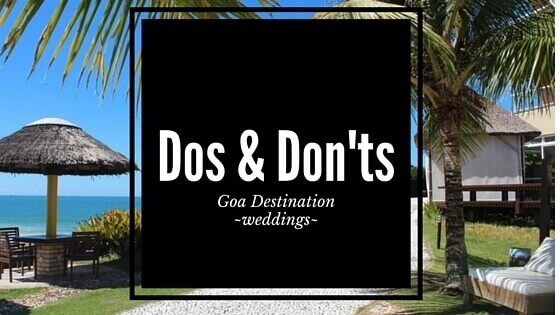 PreviousPrevious post:Plan your wedding in Goa- Real Advice and InformationNextNext post:Transformational Decor – By Ruchita Pathak, My Wedding Planning. 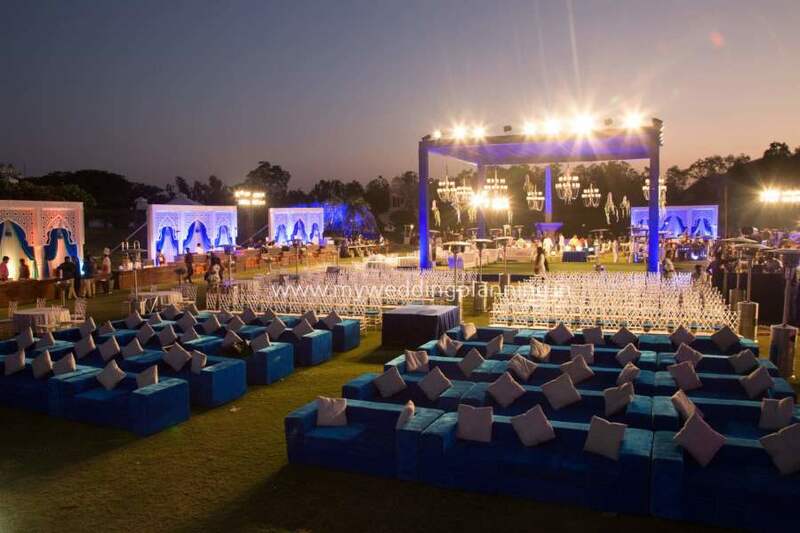 Transformational Decor – By Ruchita Pathak, My Wedding Planning.